It may not be everyone’s epicurean delight but the brave and the curious get a chance to sample edible bugs Feb. 14. 2019, noon to 4:00pm, at the 31st annual Bug Buffet at Montana State University. When MSU began this sampling of edible insects in 1991, the treats received a less than enthusiastic response. 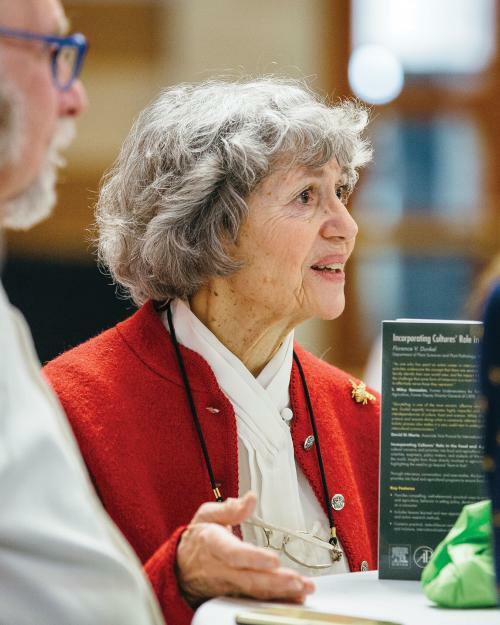 MSU entomologist Florence Dunkel, PhD, said that first year, 1991, only about 9 % of those who filled out the survey expressed an acceptance of the edible insects. “And now we are right up there at 90 percent acceptance, “revealed Dunkel. The Bug Buffet ends four days of student cook-offs, workshops and lectures on edible insects. Dunkel said about a third of the world’s population includes insects in their diet. The buffet, in the Strand Union Building Ballroom A, has free samples of edible insects prepared in a variety of recipes from Amber Wivholm and the University Food Service and the supervision of the university’s sanitarian Dustin Schreiner.